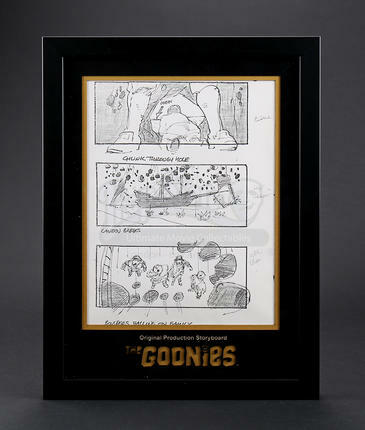 A framed production-made storyboard copy used in the production of Richard Donner's action-adventure film The Goonies. 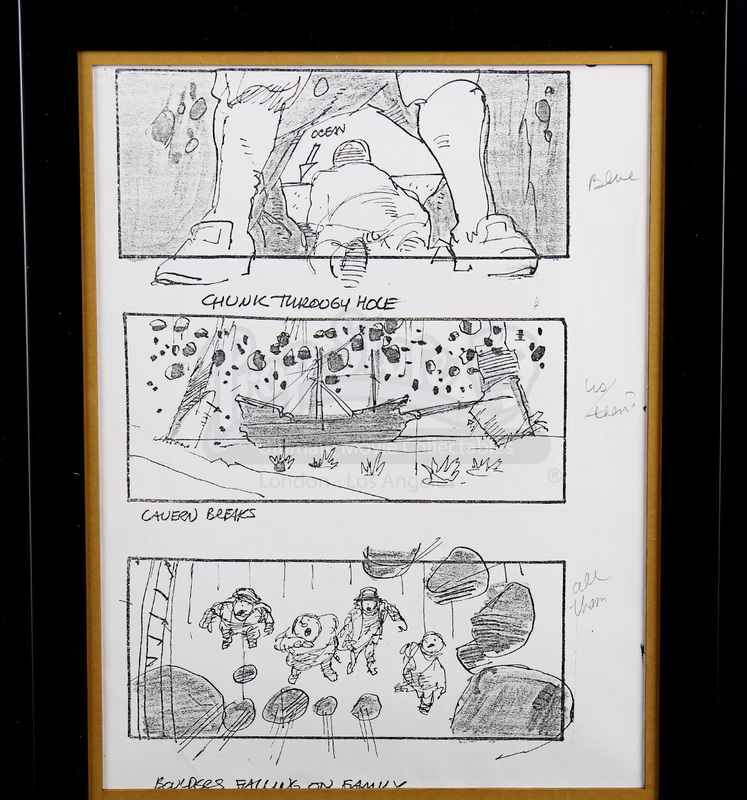 After the original storyboard drawn by Dave Carson was approved, copies were made and distributed to the various department heads during pre-production. 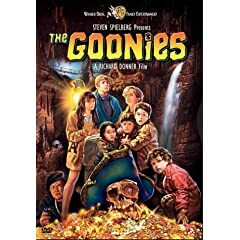 Boards like this serve as a crucial element to planning the look of a film and keeping its budget. The production used copy has a printed description beneath the illustration, and is printed on US letter-sized paper. 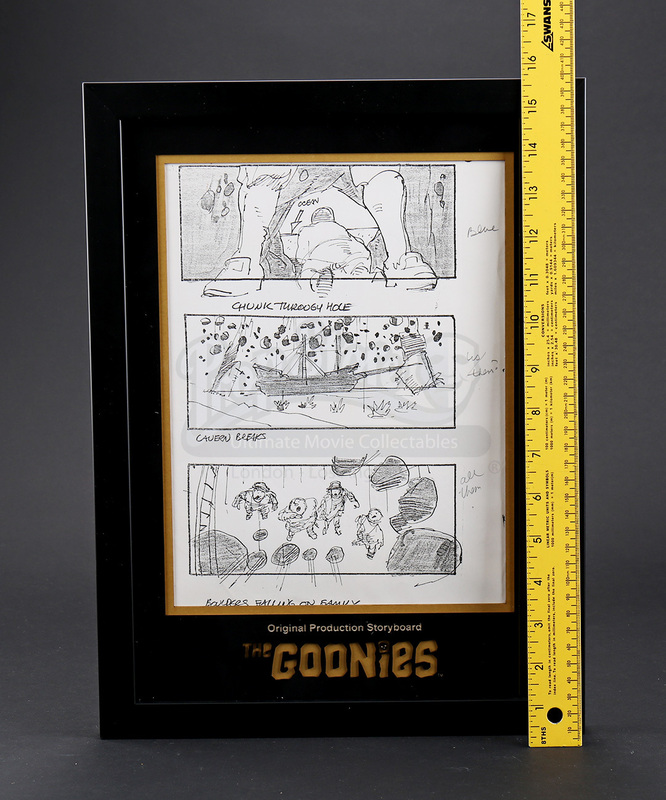 It comes framed in a custom built display with laser-cut mount board etched with the movie's logo.